From classic rock songs to modern-day pop hits, these wedding slow dance songs are perfect for slowing things down on the dance floor. 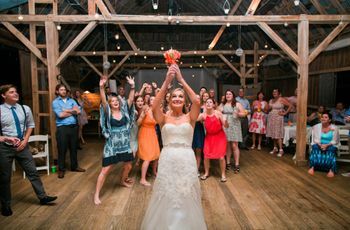 Upbeat tunes are great for getting the party started, but we can't deny that wedding slow dance songs are just as important when it comes to having an unforgettable wedding playlist. 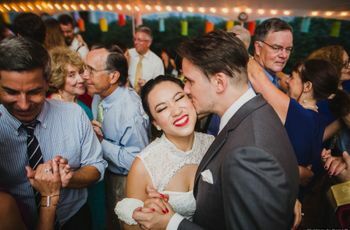 From your first dance as newlyweds to the parent dances, there are a few major moments at the reception when a slower song is more fitting. 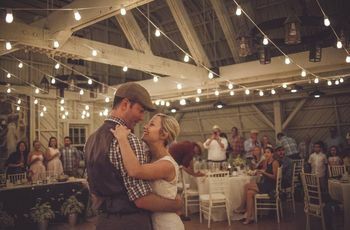 That's why we decided to roundup some of the best slow dance songs that can be played throughout your special day. 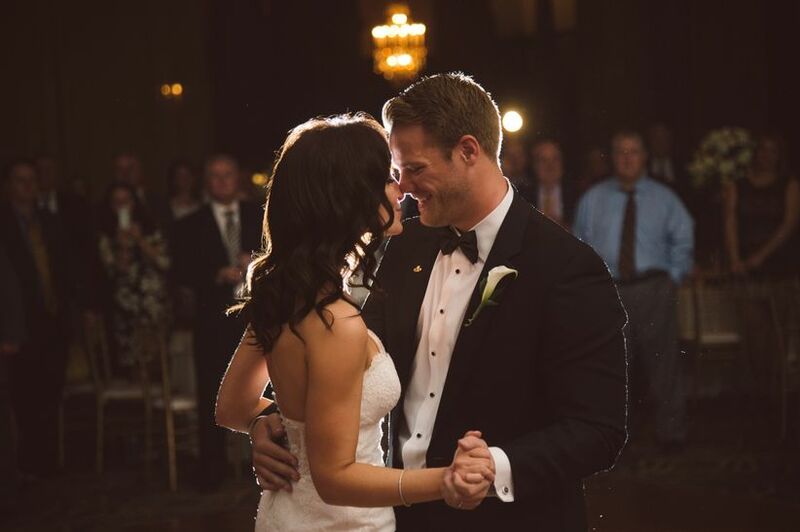 Set the mood with these wedding slow dance songs that will bring out all the feels. This song was made for slow dancing, preferably with a lot of twirling involved. “Thinking Out Loud” ruled the wedding music scene a few years ago and is still one of the most popular first dance songs for couples. If you really want to shed a tear or two, look no further than “Remember When” by Alan Jackson. This classic country tune tells the story of a couple falling in love and growing old together. Can someone please pass the tissues? With a soulful, Motown-inspired sound, this slow dance song is great for anyone who wants to balance modern style with timeless tradition. We love the studio version by Leon Bridges, but we also think a live performance by a jazz band would sound amazing. This is one of our favorite wedding slow dance songs. Billy Joel’s “Just the Way You Are” is a 70s classic with a simple message: accepting and loving someone for exactly who they are. That’s what marriage is all about, right? For some, the road to marriage is more like a slow, winding road rather than a straight shot down the highway. "Still the One" by Shania Twain is a perfect slow dance song that showcases the journey of love. With lyrics like, “Looks like we made it/Look how far we’ve come, my baby” this song is perfect if you and your spouse have been together forever and are finally making it official. The original version of this song was written and performed by Bob Dylan, but we can’t resist Adele’s soulful rendition of this slow dance song. It’s romantic, classic and simply beautiful. DMB is best known for their instrumental, brass-filled jams (they never play the same live version twice), but their acoustic songs are just as catchy. “You & Me” is a sweet and sentimental slow love song that’s also a little bit whimsical. Tim McGraw and Faith Hill are one of the cutest musical couples out there, so what could be better than a slow dance song he wrote in honor of his wife? The lyrics, “I fall in love all over/Every time I look at you” are so sweet that our hearts are bursting. What do you get when you combine simple, romantic lyrics with The Beach Boys’ signature melodic sound? This song, which we could probably listen to on repeat...forever. Our former ‘90s selves are dreaming about the Full House episode when Jesse sang this to Rebecca on their wedding day. Classic couples, listen up—it doesn’t get any better than “All My Tomorrows” by Frank Sinatra. 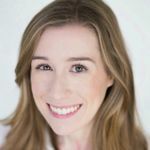 If you want to wow your guests by performing a choreographed first dance, this song would be perfect for the occasion. Try not to cry happy tears when you hear this song—the lyrics set the scene of a couple who have been married for 65 years. With lines like, "I won't trade for nothing, the life that we built/I'll kiss you goodnight and say I love you still," this is a guaranteed tearjerker. This song is about sticking together through the good and the bad. The slow tempo feels upbeat and cheerful with the help of guitar strums and sweet background instrumentals. If you love '80s ballads, you'll love "Stuck On You" by Lionel Richie. It's an oldie but goodie that is perfect for a slow dance with your loved one. This might be one of the greatest songs of all time. 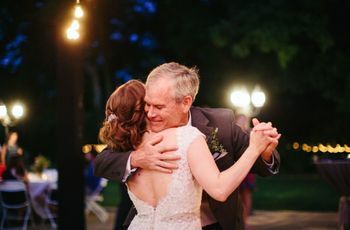 It's a classic first dance pick for couples, but the lyrics are also really sweet for a father-daughter dance song. Another reason to love it: "Wonderful Tonight" is the song that Monica and Chandler dance to after getting engaged on Friends. This is one of our favorite slow songs for parent dances (but it would make a great first dance song too!). The closing lyrics "Yeah I'm gonna love you/All the way to the moon and back" get us every time. Rod Stewart’s cover of this song is also winner in our book, but nothing beats the Van Morrison original. “Have I Told You Lately” has been a favorite wedding song since its release in 1989. If you're a Nicholas Sparks fan, you'll recognize this song from that memorable dance scene in The Notebook. It's a timeless choice that goes straight to the heart. This song makes us happy right from the start. We love the guitar chords, the message about unconditional love, and the lyrics: "I could hold you in my arms/I could hold on forever." It's a perfect choice if you are a Christian couple, but with lyrics like, "No one's ever gonna love you more than/God, your mama, and me/Unconditionally" this song could be played during a parent dance too. More importantly? Backstreet's back! When it comes to the most popular first dance songs of all time, "At Last" is definitely on the list. We can't argue with that— even the opening notes give us chills! Beyoncé has famously covered this song, but even Bey can't top the original.